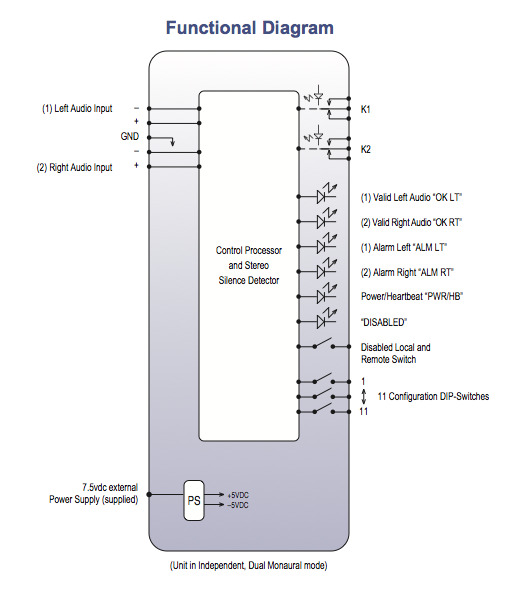 The Broadcast Tools Silence Sentinel Basic is a stereo silence sensor designed to monitor any stereo or two independent monaural sources and generate alarms when silence is detected. In keeping with its basic approach, it doesn't incorporate an audio switcher. The Silence Sentinel Basic may be set on a desktop, mounted on a wall or optional RA-1 rack shelf for mounting up to four units in 1-RU.